The Xiaomi Pocophone F1 is a smartphone with flagship hardware, which has a good camera and long battery life but costs less than €350 (~$404). Find out in this review whether Xiaomi’s concept of an affordable flagship works and what cuts have been made to keep the cost down. Coming with a premium design and reasonably top-end specs, Xiaomi’s Pocophone F1 offers the allure of a flagship smartphone for significantly less cost than many competitors. For mobile photography enthusiasts after a bargain, the rear camera puts in a respectable performance, with decent still-image results for exposure, color, and noise in most conditions. It’s some ways behind the very best high-end devices we’ve tested for image quality, though, the current crop of dual or triple-cam flagship devices are a cut above—particularly for HDR processing, low light exposure and detail, as well as for zoom and bokeh shots. This said, the F1’s autofocus and flash systems are excellent, and its video performance is very acceptable both indoors and outdoors. So all things considered, the Pocophone F1 is an attractive proposition for the price. If any of its downsides are just too much for you, then unfortunately you'll have to save up some more and go the extra mile - either splurging for a Pixel or iPhone or Note9 or Mate 20 Pro, or choosing the middle of the road option price-wise and going with a OnePlus 6/6T. With a flagship-grade chipset, large battery, bright display and capable cameras all for a tantalizingly low price, the Pocophone F1 is an exciting new entry to the smartphone game. But for a few niggles, it's almost the perfect budget phone. The Pocophone F1 is a well-built device despite the plastic back cover. I encountered no performance issues during the review period and felt comfortable using this product. Currently this smartphone is listed at £349 on Amazon.co.uk and is well worth considering. From a US buyer's perspective, however, things don't look as rosy. The Pocophone F1 is not officially sold in the US, and even if you import one and manage to get it working on your carrier, you won't be getting good – if any – LTE coverage. But in markets where it's officially sold, this is one value-rich smartphone. Needless to say, it’s a valiant first effort and we’re already eager to see what its successor will be able to deliver. Reviewing the Pocophone F1 is a...confusing job. It's an almost Frankenstein's monster-like contraption, forcing together best-in-class performance with the frugality of the cheapest of budget smartphones. There aren't really too many other devices for me to compare it to, making it a rather unique curiosity in the vein of the OnePlus One when it was first revealed. Overall, the Poco F1 is an excellent smartphone in terms of Performance and Camera capability. However, there is minor software incompatibility which we have never expected. That’s being said, if you’re looking for “flagship killer” smartphone at an attractive price point, then Poco F1 is truly made for you. All in all, the Pocophone F1 is a good effort by Xiaomi and I believe the successor next year will be even better (hopefully). We hope updates will fix the bugs too. But what do you think about the review? How many of you have the Pocophone F1 already? Thanks for reading as always and stay tuned for more reviews at TechNave.com. 84% Xiaomi Pocophone F1 review: A $1000 phone with a $300 price tag? If you live in a region that the Pocophone F1 has support, it's an absolute must-buy. If you're in the States, well - just hope that Xiaomi decides to unleash the Pocophone on North America. A big clap, Xiaomi! I would say that other smartphone brands should be terrified of this move by Xiaomi, and consumers also need to rethink when buying expensive devices. The Pocophone F1 proves how you can get a smartphone with great flagship performance but with a price tag of a midrange one. The Pocophone F1 is a good phone, but an amazing deal. If you’re on a tight budget, it should definitely be at the top of your list of options. If you have a little leeway, go try out some of the other phones we mentioned. Finally coming to the verdict, the pricing is where POCO F1 grabs the attention of many. The POCO F1 may not get the perfect phone tagline, but overall is the best value for money phone till date, no matter what. The price of the POCO F1 starts at Rs 20,999 for 6 GB RAM and 64 GB storage variant. The Pocophone F1 became a wakeup call not just for consumers but for other smartphone brands as well. Here is a device that delivers flagship performance, feels good, doesn’t have a lot of fancy features or tech, but is offered at a price that we normally see in mid-range devices. For plenty of users, this is a big win, and definitely not overpriced. For some smartphone brands, it kind of ruined a lot of things. Yes, absolutely yes. All of the issues we encountered with this phone are just minor nitpicks, and are completely understandable considering the Php 17,990 price that you’ll be paying for the phone. At the end of the day, the Pocophone F1 delivers flagship performance at literally a fraction of the price of top-tier manufacturers, and around these parts that’s the only thing that matters. Even if one does not take its price into the equation, there’s no denying the fact that the Poco F1 is an impressive smartphone. With powerful internals, excellent performance, a good camera, and almost every core feature that one could think of, the Poco F1 leaves little room for complaints. Yes, the design is utilitarian and the plastic build might not impress everyone but it does make the phone more immune to dings and drops which could be a plus for people who are usually clumsy with their phones. If there's one thing that Xiaomi and POCO have surely done with the launch of the POCO F1, then that is announcing themselves to the world as a new force to reckon with in the flagship smartphone market. While the likes of Honor, Nokia, Motorola, Oppo and Vivo scratch their heads thinking about what hit them, companies higher up the ladder like Samsung and OnePlus are also most definitely taking note. 90% Poco F1 review: At Rs 20,999 can this Xiaomi sub-brand challenge OnePlus 6? In my opinion, Poco is trying to carve a niche in the Rs 20-30,000 price range, where the options can often vary in terms of performance, camera and battery life. This is not to say Poco F1 will be a best-seller by end of 2018. After all, it took OnePlus years to establish itself in the Indian market. Still I would say that for those who want a flagship under Rs 30,000 right now, Poco F1 is certainly a favourable option. With the smartphone market buzzing with so many launches, Xiaomi has managed to make a mark by pricing the Poco F1 aggressively. It has all the elements of a Xiaomi phone: a powerful processor, MIUI, and a low price. In the company’s assault on the OnePlus 6 (Review), many mid-range smartphones with far lower specifications have been taken down. The 6GB RAM/ 64GB storage variant of the Poco F1 is priced at Rs. 20,999, the 6GB RAM/ 128GB storage variant is priced at Rs. 23,999, and the 8GB RAM/ 256GB storage is priced at Rs. 28,999. The Armoured Edition, which we had for review, is priced at Rs. 29,999 and also has 8GB of RAM with 256GB of storage. Xiaomi has hit the ball right out of the park with the pricing of the Poco F1, and it’ll be interesting to see whether any manufacturer is interested in a price war. The Pocophone F1 certainly is a game-changing device. While the official Philippine pricing for the device isn’t available yet as of press time, we expect it to be along the same lines as the device’s SRP in India, which comes out at around 16K for the base variant. While the phone does compromise on some things to get to its amazing price point, you certainly can’t deny the appeal of a flagship device for cheap. As a brand Pocophone appears to be a more aggressive push from Xiaomi to take a greater hold on the global smartphone market, with the Pocophone F1 being as disruptive as they come. Shut up and take my money is the ideal way to describe the Poco F1. It checks all the boxes that you generally expect from a phone that costs 2X or 3X more. It is built rock solid, it has a gorgeous display, it is blazing fast, it's available in a range of options, it has capable cameras, it has dual speakers and it has fantastic battery life. How has Xiaomi managed to pull this off, and are there any hidden downsides to the Poco F1? Stay tuned to Gadgets 360 as we put the Poco F1 through its paces for our full review, including camera performance, display quality, gaming, and battery life tests. Xiaomi Poco F1 First Impressions: Say, hello to the new flagship killer in town! The Poco F1 from Xiaomi has all the quality of a real premium flagship device. The phone is powered by the top-of-the-line Qualcomm Snapdragon 845 chipset coupled with an ample amount of RAM and storage. The battery looks promising and so is the display. As for the competition is concerned, all other phones in this price range seem a bit underdog if we go by the sheer specs sheet. The Pocophone may lack water-proofing and OIS for the camera, but if those are the cuts that had to be made to keep the price that low, we'd gladly take that. The Poco F1 is the all-around performer many have been waiting for since OnePlus decided to go more premium. Sorry 1+, the Flagship Killer title now belongs to another phone - the Pocophone F1. It sure is shaping up to be a must-buy! Whether we like the brand name or not, the Pocophone F1 offers a lot for little money. There's lots of power, lots of screen, lots of storage and considerable longevity. The no-frills Pocophone F1 is just the beginning and we’re excited to see where the Poco family can go in the future. It’s not completely clear why Xiaomi decided it needed a sub-brand, considering it could sell the powerful Mi 8 at a competitive price and really give all the “flagship killers” a run for their money. Perhaps the strategy will become clearer over the coming year, as Xiaomi works to differentiate its product lines. For now though, let’s just say that the Pocophone brand is off to a great start. It is not going to be the first phone that comes to mind when someone talks of cutting-edge design. Nor will it be among the contenders for the greatest camera or display. Yes, its battery life and speed of performance are brilliant, but again it does not really stand alone in those departments. There are others. Even its price edge might get eroded with time (price edges always do – just ask Motorola). Der nächste Preis-Leistungs-Kracher aus China? Xiaomi Pocophone F1 Ist es ein Flaggschiff-Killer? 91% 329€ für einen Snapdragon 845, 6GB RAM und eine gute Kamera! Positive: Powerful processor; long battery life; good price. Positive: Excellent cameras; high autonomy; good price. Positive: Fast system; nice cameras; long battery life; good price. Positive: Good price; powerful hardware; high performance; decent cameras; long battery life. Positive: Good price; powerful hardware; excellent display; high autonomy; good speakers; good cooling system. Negative: No NFC. Positive: Nice performance; large battery capacity; nice display; good cameras. Negative: Relatively high price. Positive: Good price; nice design; great built quality; decent hardware. 90% Análise: Pocophone F1 by Xiaomi… um caso “grave” de sucesso? Positive: High performance; long battery life; beautiful screen; great built quality; impressive cameras; good price. Positive: Big screen; nice display; decent hardware; good cameras; long battery life. Positive: Decent processor; attractive price; elegant design; nice performance. Positive: Metal case; premium design; good price; solid workmanship. Positive: High performance; large battery capacity; good price. Negative: Poor cameras. Pocophone F1 hands-on: l'inizio di una nuova era? Positive: Powerful hardware; large battery capacity; good price. Negative: Unsupported waterproof. Positive: Attractive price; decent hardware; nice cameras; long battery life; good cooling system. 80% Test - Pocophone F1 : une entrée remarquée, mais est-elle remarquable? 95% Note test & avis du Xiaomi Pocophone F1 : un vrai Oneplus-killer ? 80% Test complet du Pocophone F1 : le killer de flagship killers ? 86% Prise en main du Xiaomi Pocophone F1 : est-il vraiment le OnePlus One de 2018 ? Positive: High performance; attractive design; long battery life; fast charging. Negative: No NFC; plastic case. Test du Pocophone F1 by Xiaomi : ça s’agite dans les paddoks! Positive: Good price; solid workmanship; nice display; good performance; high autonomy. Positive: Good price; decent hardware; nice design; solid workmanship. Positive: Good price; decent hardware; impressive design. Prise en main du Pocophone F1 : le début d'une nouvelle ère ? Positive: Powerful hardware; large battery capacity; good price; nice design. 82% [WIDEO] Test, recenzja, opinia – Xiaomi Pocophone F1 – jak pogromca flagowców! Kupisz – nie pożałujesz! Pocophone F1 by Xiaomi - niedrogi smartfon z flagową wydajnością. Co w nim lubimy, a czego nie? Positive: Good price; high performance; solid workmanship. Negative: Plastic case; poor cameras; no NFC; no wireless charging; mediocre headphone output. Обзор Xiaomi Pocophone F1: “убийца” флагманов? Positive: Big screen; great built quality; large battery capacity; good price. Negative: Plastic case. Positive: High performance; bright screen; good autonomy; face ID; fast charging; attractive price. Negative: Plastic case; combined slot; no NFC. Positive: Powerful hardware; long battery life; nice cameras; elegant design; good cooling system. Negative: No NFC. Positive: Powerful hardware; long battery life; good price. Negative: Poor cameras; mediocre design. Positive: High performance; good price; decent battery life; face ID. Negative: No NFC; large frames. Positive: Good price; powerful hardware; nice display; excellent cameras; fast charging. Negative: No wireless charging; unsupported waterproof; plastic case. Khung hình siêu mượt, “phá đảo” mọi tựa game cùng với Pocophone F1! Positive: Great performance / price ratio; good price; impressive display; long battery life; fast charging. Xiaomi Pocophone F1: “Ông hoàng gaming” sáng giá nhất phân khúc tầm trung! Positive: Good price; high gaming performance; powerful hardware; nice display; long battery life. 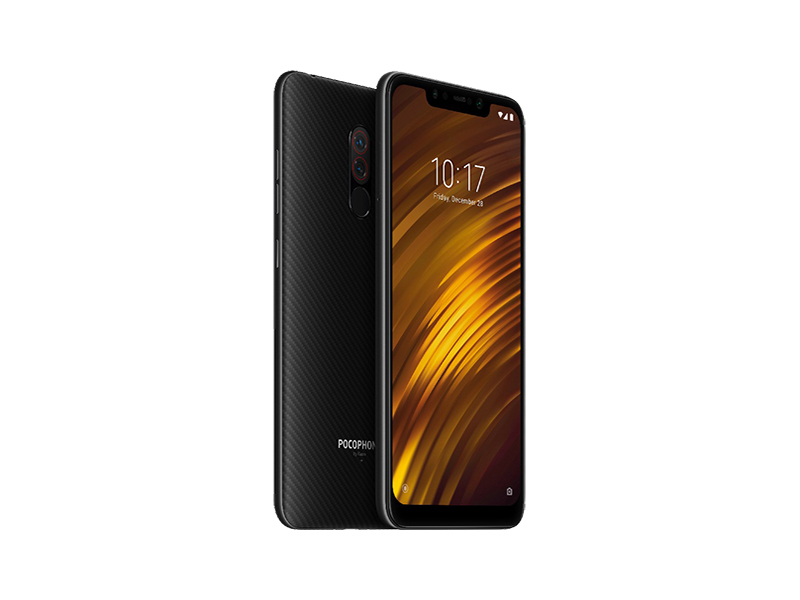 Có nên mua Pocophone F1 ? Positive: Good price; powerful processor; nice gaming performance; good cooling system. Negative: Mediocre design; poor selfie camera. Đánh Giá Pocophone F1: Có Phải Đánh Đổi Gì Để Lấy Cấu Hình Khủng? Positive: Powerful hardware; good price; high gaming performance; nice display; large battery capacity; decent selfie camera. Negative: Poor main camera; plastic case; mediocre design. Positive: Good price; powerful hardware; large screen; nice display; long battery life; quick charging. Negative: Plastic case. Positive: Good performance; decent display; elegant design; large battery capacity; quick charging; nice cameras. 92% RECENZIA Pocophone F1: Takto lacný a výkonný telefón tu ešte nebol! 92% مراجعة للهاتف Xiaomi Pocophone F1:هاتف رائد بهذا السعر! Model: The new fledgling company, supported by the Chinese tech giant Xiaomi, is looking to shake things up with its first device, the Pocophone F1 – the new “Master of Speed”. In essence, Pocophone and the F1 represent a new way for Xiaomi-based hardware and software to reach new customers in more markets. The Pocophone F1 looks and feels rather generic. It feels less premium due to the polycarbonate back of the device. However, it’s not that it’s shoddy or flimsy, far from it. The finish of the dark grey (Graphite Black) version mimics metal quite well, but the F1 definitely feels less premium than the OnePlus 6 or Honor 10. On the flip side, the plastic back should fare better when dropped, even if it will scratch and wear faster than glass. The polycarbonate model is available in Graphite Black, Steel Blue, and Rosso Red. The Pocophone F1 features a 5.99-inch IPS LCD display, featuring a resolution of 1080 x 2246 pixels (18:9). At 416 DPI, the pixel density is high enough to make pixels unnoticeable. Colors are nice and punchy, though OLED would have obviously delivered better contrast rates and viewing angles. The only minor issue worth noting is outdoors legibility. At full brightness, text can be a little smudgy. The primary 12-megapixel sensor with its f/1.9 aperture and 1.4 µm pixels, as well as the sizeable 20-megapixel front-facer, have both been lifted directly from Xiaomi’s 2018 flagship handset, the Xiaomi Mi 8, which is yet another benefit of Pocophone’s ties to Xiaomi’s supply line. This manifests an impressive camera experience, not only for an affordable smartphone but also for the category it is in. A user gets AI-enhanced auto mode, manual control, automated HDR shooting, real-time photo filters and Beauty mode, QR code scanning, a Portrait mode and more. The Pocophone F1 is available in three memory-storage combinations which are 6 GB/64 GB, 8 GB/128 GB, and 8 GB/256 GB. All three versions feature a Snapdragon 845 processor (10 nm octa-core with Adreno 630 GPU). Xiaomi added a liquid cooling system to help the CPU hum along without overheating. It’s called LiquidCool, and it works by transferring heat from the processor to the other parts of the phone, a bit like an AC unit. The battery is excellent too. A 4,000 mAh unit should keep you up and running for a full day, potentially two, depending on how hard the user pushes it. The Pocophone F1 features a single speaker, found on the bottom (only one of the two grilles house a speaker). It gets pretty loud, but it tends to buzz at high volumes. And finally, Xiaomi has developed a new specific software for this terminal that has been called MIUI for POCO. This specific development manages to elevate the fluidity of the interface to unsuspected levels until now, beating rivals the likes of the Oneplus 6 or the Samsung Galaxy S9. As a conclusion, this smartphone is targeted at users who place performance, longevity, and quality ahead of the aesthetics of conventional flagship phones. It can easily manage light to heavy tasks with the given specifications, as well as snap beautiful photos and have excellent battery life. 84.01%: This rating should be considered to be average. This is because the proportion of notebooks which have a higher rating is approximately equal to the proportion which have a lower rating.